From delicately scrolled wrought iron garden sets and beautifully painted shellback chairs to colorful aluminum framed webbed pieces and gorgeous wooden chase lounges, there is nothing that adds charm to your outdoor areas like vintage lawn furniture. For many people outdoor vintage furniture brings back fond memories of earlier times such as playing outside at their grandparents' house as they watched from their metal lawn chairs, sitting on folding webbed chairs at the beach or laying in the sun on a favorite chaise lounge. Whether you love vintage outdoor furniture for nostalgic reasons or you simply love the beautiful styles and designs, adding one piece or an entire collection to your outdoor space will surely bring smiles to the faces of your family and friends. There are many online companies that specialize in selling restored and un-restored vintage furniture for outdoors. Some of these companies will also restore your own furniture pieces for you. One of the types of items that Olde Good Things specializes in is antique and vintage garden and patio furniture. They all offer a beautiful selection of un-restored wrought iron garden sets. 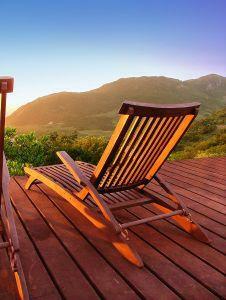 Chair Care Patio carries a large line of replacement parts and repair kits for outdoor furniture. D & J Patio carries a line of vinyl strapping and webbing. The website includes how-to guides and videos. Patios to Go carries a full line of replacement parts for outdoor PVC furniture. If you are looking for metal lawn and patio furniture in the style of the 1950s, Torrans Manufacturing Company in Jefferson, Texas, is the place to go. In business since 1850, this company manufactures a unique line of replica vintage metal lawn furniture and Adirondack furniture. In fact, for a truly unique look Torrans makes wooden Adirondack furniture with colorfully painted metal seats and backs. This unique furniture includes chairs, rockers, tet-a-tetes and a side table. The metal line of furniture includes chairs, single gliders and double gliders that are available painted your choice of one of their gorgeous color selections. The six chair styles include classics such as the shellback, tulip and scalloped shellback. Candy Bouncer specializes in metal lawn chairs, also known as tulip chairs, shellback chairs and motel chairs. Backyard City provides shoppers with a selection of 1950s style metal chairs in ten magnificent colors including cotton candy pink, tropical lime and radiant red. Seventh Avenue offers a lovely style of vintage metal lawn or patio furniture with a gorgeous swirled cut-out design on the chair backs. The pieces include chairs, a table and a two-seat glider in a choice of lime and white or red and white. Adding vintage lawn furniture to your outdoor areas adds a touch of yesteryear to your surroundings.